After full fields in three of the last four Cup races, New Hampshire will see 39 drivers take the green flag. It’s the 17th time in 28 races that the fewer than 40 drivers are entered. Missing from Chicagoland is Motorsports Business Management, which will instead be in Kentucky for Saturday’s XFINITY Series race. The preliminary entry list didn’t have a driver listed for Rick Ware Racing’s #51, the car with which Ray Black, Jr. finished last in his Cup debut last Sunday. With Black slated to run Saturday's XFINITY race for SS-Green Light Racing, it's as yet unclear who will drive for Ware on Sunday. Premium Motorsports arrives with new sponsorship for both of its teams. 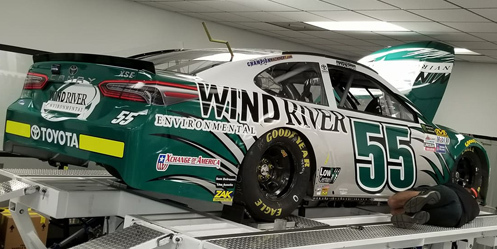 Gray Gaulding, who last week used a renumbered version of the Bud Moore throwback from Darlington, has a new green-and-white wrap on the #55 Toyota with sponsorship from waste service firm Wind River Environmental. Gaulding ran 35th for Premium here in July, and will this week run double-duty with the Truck Series in Premium’s #15 Chevrolet. Reed Sorenson remains in the Cup #15 Toyota for Sunday, which has new sponsorship from Ol’ Hick Cooking Pellets by Energex. Another driver debuting a new sponsor is Michael McDowell, whose #95 Leavine Family Racing Chevrolet welcomes new backer Procore. While this week’s news that Kasey Kahne will replace McDowell in the #95 next season has put McDowell’s 2018 plans less clear, he continues to impress with the team. He’s finished 20th or better in six of the last eight races and has completed a series-leading 99.2% of his attempted laps. His best finish in 14 previous Loudon Cup races is 26th, which he set here last fall and matched this past July. BK Racing has the same lineup from Chicagoland, though now with two near-identical black-and-yellow Toyotas. Corey LaJoie, 31st here in July, drives the #23 Schroth Racing Toyota alongside Brett Moffitt in the #83 Super Donut Toyota. Super Donut was to sponsor BK back at Watkins Glen, but will debut instead this Sunday for Moffitt’s first Loudon start in Cup since he ran 27th for Front Row Motorsports in 2015. 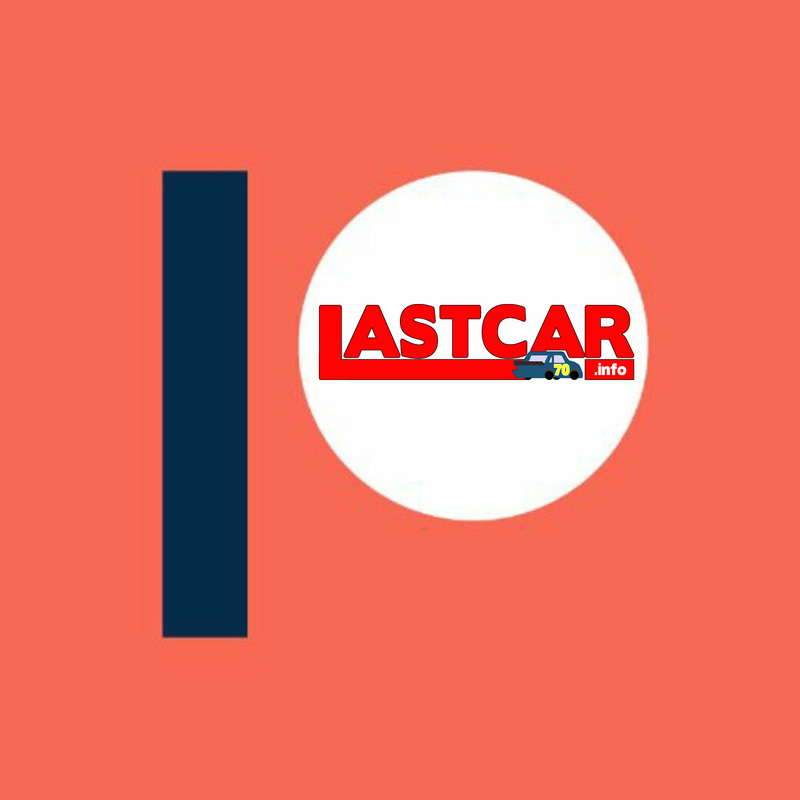 Front Row’s current lead driver, Landon Cassill, earned a strong 20th-place finish last Sunday, his best performance since a 19th at Daytona in July. He is now set to make his 15th Cup start at Loudon, where his track-best finish was a 23rd here last fall, in a car with team sponsor MDS Transport. Teammate David Ragan, back in the Camping World / Good Sam colors, makes his 22nd Loudon start in the series. 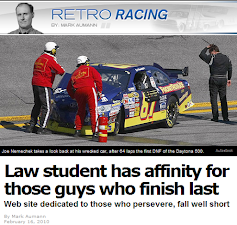 Ragan’s lone Top 10 at the track came in 2011, when he finished 7th for Roush-Fenway Racing. Matt DiBenedetto’s Go FAS Racing entries have remained some of the most colorful on the circuit. One week after his #32 Ford joined Chicagoland’s Nickelodeon / Ninja Turtles promotion, his new Ford EcoBoost scheme has received a thumbs-up on Twitter from Mark Martin. Perhaps joining DiBenedetto as a driver with manufacturer sponsorship is Ryan Newman, who at press time was the only Playoff driver without a primary sponsor. Exactly 40 drivers are entered in Saturday’s stand-alone race in Kentucky, and with the Cup Series regulars busy in New England, the night will be a big opportunity for the XFINITY Series stars. Among them will be Kyle Benjamin, back in the series for the first time since Iowa, in Joe Gibbs Racing’s #18 with teammate and Iowa winner Ryan Preece in the #20, as well as the Richard Childress Racing trio of Ben Kennedy (#2), Brian Scott (#3), and Brandon Jones (#33). 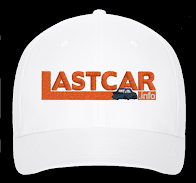 All five will have their hands full with their teammates Matt Tifft and Brendan Gaughan, near the bottom of the Playoff rankings, who will each seek a round-clearing victory. Best of luck also to Jeremy Clements, who embarks on his first Playoff run thanks to his win at Road America. Still missing from the list, however, are both JGL Racing’s #24 and GMS Racing’s #96, which were both withdrawn before last week’s race in Chicagoland. 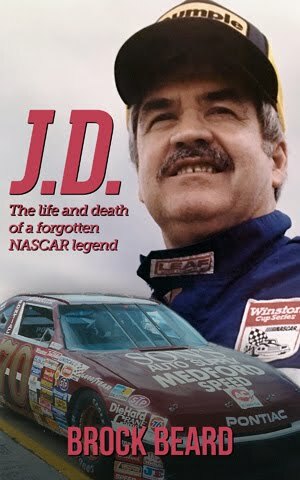 JD Motorsports has also chosen to not enter the #15 Chevrolet with which Matt Mills scored his first last-place finish that Saturday. The JD team returns to its traditional three-car lineup with Garrett Smithley back in the #0, Harrison Rhodes in the #0, and Ross Chastain in the #4. Motorsports Business Management has entered three cars, including its own “start-and-park” #72 CrashClaimsR.US Chevrolet we last saw withdrawn at Road America. Team owner Carl Long is slated to drive the #72 for the first time this year, moving its July Loudon driver John Jackson to the #40 O.C.R. Gaz Bar Chevrolet. Timmy Hill, who finished next-to-last in Sunday’s Cup race at Chicagoland, reprises his role in the MBM #13 O.C.R. Gaz Bar Dodge. Also entering an additional car is King Autosport, which fields both its #90 and #92 Chevrolets for the first time since Daytona this past July. Josh Williams, who finished last that night, returns in the #92 alongside the #90 Dexter Bean, who makes his first series start since a 26th-place finish last month at Road America. Welcome back Precision Performance Motorsports, which we last saw charge to their first Top 10 with in-race reporter Parker Kligerman at Road America. Back behind the wheel is Quin Houff, who himself turned heads his last time out with a 12th at Iowa in June. It will be Houff’s first series start at Kentucky. Also returning is Angela Ruch, who is slated to pull the Kentucky sweep in 2017. After finishing 30th there this past summer, she returns to B.J. McLeod’s #78 Chevrolet with the Give A Child A Voice foundation. Saturday’s companion race at Loudon sees just 29 drivers for the 32-truck field, the first short grid for the series since Michigan, four rounds ago. This includes the early withdrawal of Mike Harmon’s #74, which was slated to be the third different truck Donnie Levister would drive in 2017. Also missing from the Chicagoland list are Ted Minor in the Boyd Long #14, Mike Mittler’s second truck (#36), and Ricky Benton’s #92 BTS Tire & Wheel Ford for Regan Smith. Still missing from multiple weeks are Michigan winners MDM Motorsports (though the #99 Chevrolet is expected to be back at Martinsville as Cale Gale makes his first series start since 2013) and the Bolen Motorsports #66. Returning from a two-race hiatus is Stewart Friesen, whose #52 We Build America Chevrolet is now firmly under its new technical alliance with GMS Racing. Johnny Sauter, in GMS Racing’s flagship #21, holds down second in the Playoff standings, and looks to close his 15-point deficit to leader Christopher Bell. The preliminary entry list for Saturday’s race did not include a driver for D.J. Copp’s #83 Chevrolet. It has since been announced that Patrick Emerling, fresh off his first modified series win after seven years of trying, will drive. Kyle Busch Motorsports has put Todd Gilliland back behind the wheel of the fast #51 Pedigree Toyota, which the rookie steered to an 11th-place finish his last time out at Mosport. Austin Wayne Self looks to build on his 20th-place finish last week at Chicagoland in the same Martins Motorsports #44 AM Technical Solutions Chevrolet. T.J. Bell makes his 12th Truck Series start of the year, his first since Bristol, as he returns to Al Niece’s #45 Niece Equipment Chevrolet. Austin Hill also makes his return from Bristol in the #02 Ford owned by Randy Young and sponsored by Whitetail Heaven outfitters. Ryan Truex has another new paint scheme on Shigeaki Hattori’s #16 Toyota as Price Chopper has signed with the team for Saturday. Many of the LASTCAR contending drivers and teams are back, including last week’s last-placer Mike Senica in the #57 Norm Benning Racing Chevrolet and Joe Nemehcek in his own NEMCO #87 D.A.B. Constructors, Inc. Chevrolet. Jennifer Jo Cobb, who gained several spots after early mechanical issues at Chicagoland, returns in her #10 Driven2Honor.org Chevrolet. Alongside her in the #0 is Ray Ciccarelli, who makes his second paved-track start following a 26th-place run at Michigan.